New Zealander Jason O'Halloran is to replace Duncan Hodge as Scotland's backs coach. The announcement comes the day after it was revealed that Hodge would be taking up the same role with Edinburgh. Both changes will happen after 43-year-old O'Halloran's contract expires as Manawatu Turbos head coach in November. Scotland head coach Vern Cotter said of O'Halloran: "He was a very good rugby player and is an excellent coach. I've kept tabs on him for several years." Earlier this month, it was announced that Sale forward Nathan Hines, the Australian-born former Scotland international, would become "resources coach", advising on line-out play and supporting the development of younger forwards. At the same time it was announced that scrum coach Massimo Cuttitta had left for "personal reasons" after almost six years with Scotland. Now Cotter has recruited compatriot O'Halloran, who played for Wellington, Hurricanes and Kubota Spears. He also captained New Zealand A and earned one cap for the All Blacks. "He's very strong on individual development, has a very good eye on attack and [knows] how to open up opportunities," said Cotter. "I think our players will thrive and develop under him. "His arrival is another plus for Scottish rugby; he'll bring another perspective and develop our players here in Scotland." O'Halloran's first coaching role was with Japanese side Spears before becoming Manawatu's high performance academy manager in 2007. 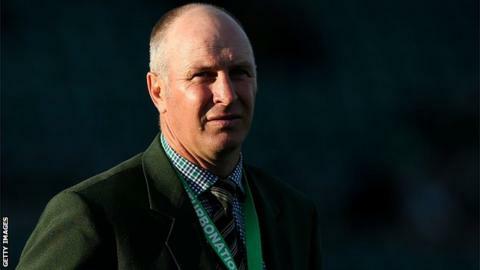 The former centre, who became Turbos' head coach in 2011, said: "I'm looking forward to working with an exciting group of players under a widely respected head coach in Vern Cotter. "I believe in the style Vern is pursuing and that there is significant growth potential in a young and enthusiastic squad. "Working with that type of talent excites me and I believe the group of backs in the Scotland squad will be one that I can relate to and help grow."